Wrought iron fence scroll decorations are hand made by experienced blacksmiths, with fine workmanship and elagance appearance. 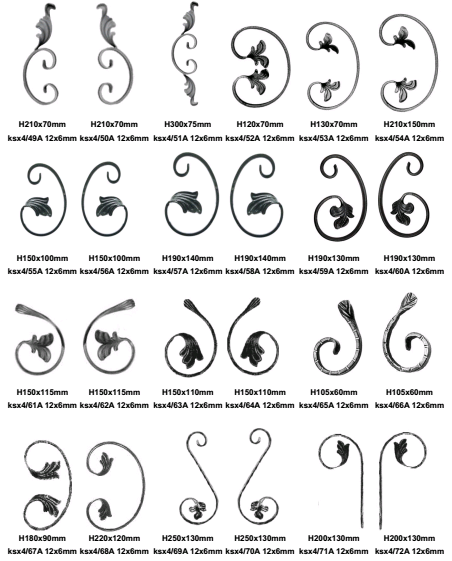 Wrought iron fence scroll decorations are suitable for welding and hot galvanizing. Wrought iron fence scroll decorations can be used on iron fences, gates, railings and many other iron works for decoration. They can make your iron work looks expensive and durable. 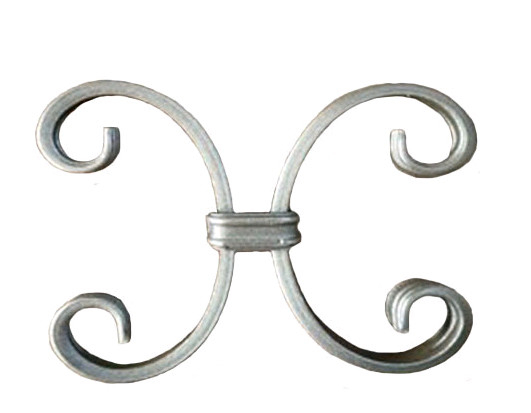 They are commonly used as a central ornaments on wrought iron guardrail with a quick welding. These collar are not casted iron,can be welded and galvanized.Cast iron is more fragile and easy to break off. Surface treatment Self colour, Antirust oil, Sandblast, Zinc plated, sandblast & painting etc. Feature Made of mild steel, beautiful outlook, easy to clean, with low maintenance cost. Application Decoration, widely used on wrought iron gates, fence railings, indoor or outdoor decorations, inside dividers etc. Packing Nylon bag and iron pallet. Strictly material control and finished part dimension testing. Produced by experienced technical stuff. 1,We do best goods to all customers, we supply best service to all, and we hope develop with all customers together. 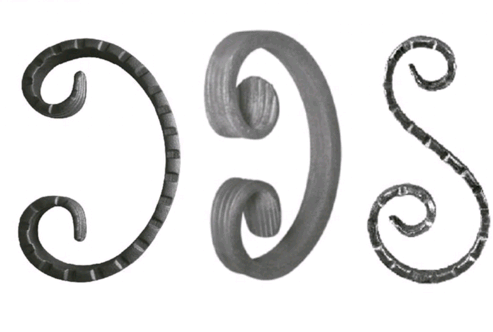 3, We have almost 1800 kinds wrought iron products. 4. We have 8 years of experience to produce & export wrought iron goods. 5, we are manafuture of wrought iron components and parts. Q1:You are the trading company or factory? We are the more than 10 years experience factory. Q2:Now are you worry about our quality? we will welcome you visit our factory any time. Q3:How to ensure sending my goods in time? Efficient production, Convenient transportation,Professional management. Q4: How to guarantee the quality of the product? We have professional testing department. 100% qualified before shipment.